Update: PHILLY, WE HEARD YOU! We've reconfigured this event as a Photo Op (with a pre-signed book) and it has been moved from Temple Performing Arts Center to our Parkway Central Library. Anyone who bought tickets to the event at Temple will receive a full refund. Tickets to the new event at the Free Library will go on sale to the public at noon on Friday, May 26. Buy tickets here! 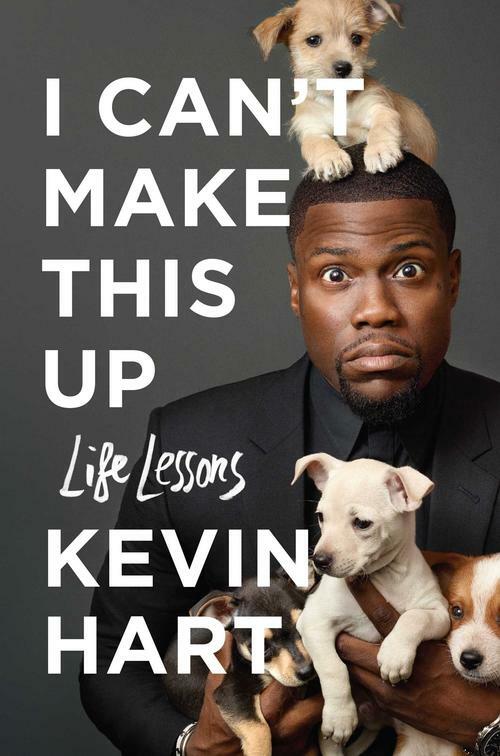 We're not making this up: comedian and North Philly native Kevin Hart will be joining us for a sure-to-be-hilarious Author Event on Wednesday, June 7, 5:00 p.m. at Parkway Central Library. In preparation for his appearance and new book, I Can’t Make This Up, let's take a look back on some of the Life Lessons he's learned on the way, from his beginnings as a Philly kid just trying to get by, to his comedy aspirations, through his now mega-stardom in Hollywood and beyond. Kevin Hart grew up near 15th and Erie, the youngest of two boys, with a strict mother and drug addicted father. His childhood was tough, but he always found solace in the coping mechanisms of humor to help with the pain. He attended George Washington High School and later the Community College of Philadelphia and Temple University. But where he really went to school and learned his craft were small comedy clubs like the former Laff House on South Street. Kevin got his big on-screen break in the Judd Apatow television series Undeclared in 2001. Apatow cast him again a few years later in a memorable, over-the-top cameo in a movie with plenty of other over-the-top scenes, The 40-Year-Old Virgin. Comedy tours and albums came next—I'm a Grown Little Man, Laugh at My Pain, Let Me Explain, and What Now? (filmed live on August 30, 2015 in front of 53,000 people at Philadelphia’s Lincoln Financial Field)—packing arenas and football stadiums across America, as he became the new millennium's answer to Eddie Murphy. Bigger film roles were offered as Hollywood came calling for Hart's comedic timing and star-turning performances followed in the movies such as The Wedding Ringer, Get Hard, Think Like a Man, and the Ride Along series. He also lent his voice-acting talents to last summer's animated blockbuster The Secret Life of Pets, and one of this summer's forthcoming animated blockbusters (and children's book fav adaptation) Captain Underpants. Never one to take his success and fame for granted, the philanthropic side of Kevin Hart comes out often. In 2013, he donated $250,000 to the School District of Philadelphia for new computers and created four $50,000 scholarships for Philadelphia high school students in 2015. He also recently donated $10,000 to the Ronald McDonald House charity during a fundraiser in March of this year. And this summer, the City of Brotherly Love and Sisterly Affection will give back to one of its favorite sons by declaring Thursday, July 6 as Kevin Hart Day in Philadelphia! 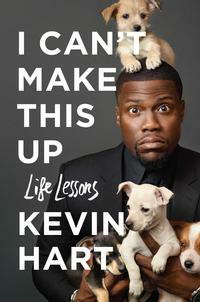 Kevin will be in conversation with Quincy Harris, host of The Q on Fox 29, discussing his new book, I Can’t Make This Up: Life Lessons, in which he details how hard work and determination led to his success. I love Kevin Hart. I cannot wait for this event. Can't wait! Can you share the link where we can purchase the tickets? And am I right that the tickets are $40 each and include a signed copy of his book? Thanks!!! Where are the links to buy the tickets and when would the link be posted? Thanks. Tickets will be available Friday morning at 10:00 a.m. Depending on your seat selection, costs are $40 - $55 (before handling charges) and include a pre-signed book. The link is just above in the "ticket information" section. See you there. Kevin Hart is an inspiration to my generation growing up in Philadelphia. I'm 61 years of age. Ah, you Philadelphians are SO lucky! A GREAT Cinco de Mayo and wonderful summer to all! Will Kevin Hart be taking picture with the purchase of the ticket? I hope some of the proceeds are donated to The Philadelphia Free Library they can put it to good use. Tickets are still available. The book that comes with the ticket is pre-signed. He is not signing anything at the event.